Savenaca Narube is the party leader of Unity Fiji. 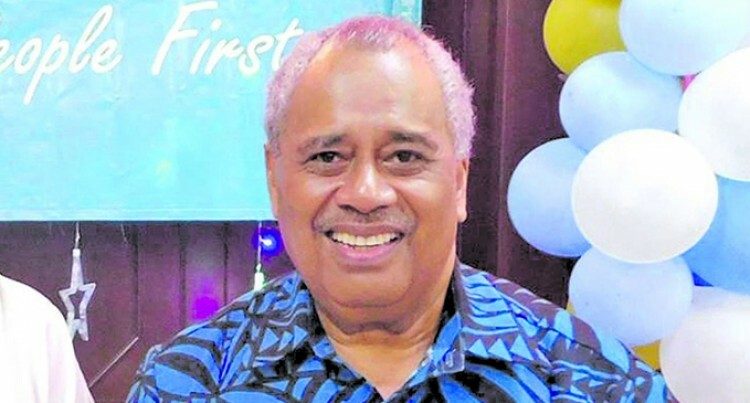 He was the former Governor of the Reserve Bank of Fiji and Permanent Secretary for Finance. The Views and opinions expressed in the article are those of Savenaca Narube and not of the Fiji Sun. I thank Mr. Ashwin Raj the Director of the Human Rights and Anti-Discrimination Commission for reiterating the government’s approach to nation building in his August 18th opinion in the Fiji Sun in reply to my earlier piece on “Embracing Ethnics Fears”. Like many of us, I fully share his views that racism and bigotry should not be tolerated at any time. However, race and religion are very important facts of life here and everywhere in this world. The thrust of my article was to clarify that talking about race is not racism. Talking about religion does not mean religious bigotry. Embracing ethnic fears does not mean encouraging disunity. On the contrary. We must openly talk about ethnic fears and religious bodies must be allowed to talk about religions. These opinions can differ from the government’s stance. This is democracy at work. To me, this is the most effective path to building unity and delivering peace and happiness to Fiji. What I have heard so far from the Government and reemphasised by Mr Raj appear to be an overgeneralization of what constitutes racism and religious intolerance. Race and racism are not the same. Race in my view must be acknowledged as an issue in Fiji. It is essential that any Government listens to the fears and concerns of ethnic groups. The fears of ethnic groups that I highlighted in my article were not mine. They were the fears expressed to Unity Fiji by ethnic groups that we have met across the whole of Fiji. But whoever these came from, these fears are real. The indigenous Fijians showed us evidences of losing authority over the use of their resources. Indo Fijians told us that security was their highest priority. We cannot sweep these fears under the carpet and ignore them. This in my view will only push these issues underground which imposes many risks downstream. I would rather see these being brought to the table openly, so we can find solutions to them. Race and religion will be election issues because they are the realities of this country. In my view, these are not racist and therefore are not in breach of any law or the Constitution. In my view, our ultimate aim is to find unity in this land. I agree with Mr Raj that the three coups including the 2006 one sits heavily on our shoulders and our children and their families will bear the burdens of these crises for a very long time. The 2006 coup brought FijiFirst into government. I do not see why raising ethnic fears is a threat to national security. I believe that embracing ethnic fears is the only path to achieving unity in Fiji. National unity is the key component of building a nation. It requires listening to the people and taking everyone with us along this journey. Nation building by legislation is bound to fail. Why? Basically, because we are human beings. We are driven by our respect for ourselves and others. People value being consulted. People value being part of the solution. They treasure their God given identities. I repeat the fact that we are made up of different ethnicities and different cultures. This diversity is our strength. We must recognise that we cannot erase this by imposing laws and forcing people together. There are a few essential components of national unity. We can learn from the experiences around the globe. The first step is tolerance. To build tolerance we must seek understanding. We can build from the considerable body of tolerance and understanding that already exists in our communities. Unfortunately, I have not seen any effort to promote understanding. The building block of racial tolerance is a true understanding of the other side’s story. Unity Fiji will initiate a national programme of building understanding of each race in Fiji. I know that there is a lot of goodwill amongst all races that indigenous Fijians are the traditional landowners of the country. Likewise, there is appreciation that Indo Fijians have contributed greatly to the development of this country through their sweat and tears. I wrote an opinion of the great legacy of the late Ratu, the Tui Noco, in embracing the descendants of the Girimatias as the children of the Ratu. I was personally moved by the integration of Indo Fijians into the iTaukei protocol in the burial ceremonies of the late Tui Noco. I told myself that this is what the future of Fiji could like. The significance of this gesture has not been fully embraced in Fiji. It is a classic example of building understanding and tolerance. The legacy of the late Tui Noco confirms to me that there is enough goodwill and tolerance of races in Fiji that we can use to build unity. There is no need to impose laws and regulations to force us together. Rather, we need a Government that listens to the voices of the people. We must embrace fears not suppress them. People will live in peace when they know that their fears and concerns are heard and addressed. Our path to finding unity will determine our future. Unity through the people is far more effective than unity through laws and regulations.